A consummate traveler, Dr Carrie Blanc has lived on both coasts and a few places in between. She decided to set down her bags in Appleton eight years ago. Originally from California, she received her undergraduate degree from the University of California, Berkeley and her medical degree from the University of California, San Diego. She completed her medical training in Family Medicine at UW Madison and at Harvard University in Boston. 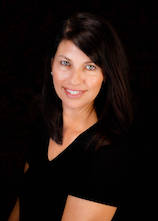 Dr. Blanc’s professional interests include women’s health, aesthetics and holistic medicine. Her goal is to help patients feel good inside and out. 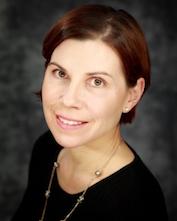 Dr Blanc is an avid reader and runner and is fluent in Spanish and French. Along with her husband and young daughter, she enjoys motorcycling and gardening. She continues to try to nudge her black thumb towards green. She has a passion for traveling and is always planning her next trip. Kay Theyerl, MD, MS, FACP, a founding member of Refine MD, is a board certified Internal Medicine Physician, who works with patients to prevent and treat chronic disease. She is passionate about teaching her patients to maximize their health by incorporating healthy lifestyle and other integrative modalities into her practice. Aesthetic Medicine is the perfect complement to her holistic approach to patients — it empowers people to look and feel their best — something she finds incredibly rewarding! Dr. Theyerl earned her bachelor’s degree in biology from the University of Wisconsin-La Crosse and a master’s degree in cardiovascular physiology from George Williams College. After a career spanning 15 years, she earned her medical degree from The Medical College of Wisconsin and completed her residency in Internal Medicine at Gundersen Lutheran. She has since earned board certification in Integrative Medicine and Lifestyle Medicine. She and her injector partners in Refine MD have received aesthetic training from some of the top trainers in the country and they participate in ongoing training several times yearly. In 2018, she completed a Master Injector Course to learn and perfect advanced techniques in neurotoxin and dermal filler injections. Dr. Theyerl has been with ThedaCare since 2004 as a practicing Internist and more recently as the Medical Director for Lifestyle Medicine and Medical Director for ThedaCare at Work — Clinical Services. Dr. “Kay” is a native of Appleton having returned here after completing her medical training. She loves spending time outdoors biking or kayaking with her fiance’, Tom, or relaxing with family and friends. Dr. Solis-Rohr is a Board-Certified Family Medicine Physician and Member of the Academy of Integrative Health and Medicine. She received her undergraduate and medical degree from Catholic University of Chile. Dr. Solis-Rohr completed her residency in family medicine at St. Elizabeth Hospital in Chicago. She has practiced the full spectrum of Family Medicine, also dedicating some of her extensive training to the practice of Aesthetic Medicine. She is fully trained in aesthetic procedures including Botox and dermal fillers, as well as lasers and laser assisted liposuction. Dr. Soils-Rohr’s professional goal is to educate patients about healthy lifestyle, self care and life balance. In her opinion, aesthetic practice is not just to look great but, most importantly, to be healthy, happy and feel good as a whole person. Dr. Solis-Rohr is originally from Chile and has lived in the USA for 31 years. In her free time she enjoys nature and loves the culinary arts. She is also fluent in Spanish. A former client turned licensed Aesthetician, Ashley was inspired to become a member of team Refine MD, after receiving care here. It changed her life completely and made her fall in love with all things skin! She pursued her education at Gill-Tech and became a licensed aesthetician to enable her to become a medical aesthetician at Refine MD. Since 2009, she has been working with clients to improve their skin health with a special interest in acne and acne scarring. She enjoys helping clients discover the right product and treatment combinations for a successful outcome. Her passion and expertise are evident in every interaction with her clients — they appreciate her professionalism and her caring, gentle nature. Ashley loves having outdoor adventures with her 2 children, running her dogs and whipping up new recipes in her kitchen. 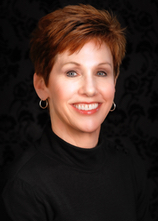 If you have been to Refine MD, you have probably met Dianne Riehl, one of our wonderful medical aestheticians. Dianne brings her passion and experience to every client encounter, giving her clients a wonderful experience with great results. Dianne’s clients describe her as professional, an expert in her field, with a kind and gentle touch. Outside of work she enjoys spending time with her husband, their children, and their grandchildren. Kayaking and paddle boarding have become two of her favorite outdoor hobbies and curling up by the fire with a good book will forever be a favorite indoor hobby! “I love being a part of the Refine MD team!” Nicholle began her aesthetic career at a spa, moved to skincare product sales and education, which led her to medical aesthetics at Refine MD in 2013. She absolutely loves being able to offer her clients an array of services addressing their individual skincare and body care needs. She has a passion for anti-aging, and helping clients reveal their youthful glow through the combination of quality skincare and top performing lasers and tools; as well as body contouring with the use of CoolSculpting. “Whether it’s skin rejuvenation or body sculpting, my goal is to make my clients feel and look their best with every visit.” …and by the reviews she receives, she does just that! Nicholle brings with her a host of aesthetic knowledge as well as a warm, friendly, positive attitude. When not at Refine, Nicholle enjoys the outdoors, trying out new restaurants, and spending time with her husband and son. 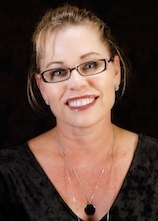 Vicki is a Board-Certified Family Nurse Practitioner with her Doctorate Degree in Nursing Practice. She is a member of The International Society of Plastic and Aesthetic Nurses (ISPAN). She has been practicing as a nurse practitioner in both the clinic and hospital settings since 2009 — prior to that she worked as an RN for 20 years, until joining the team at Refine MD in 2017. Vicki has a passion for aesthetics. She has received expert training in advanced injection assessment and techniques through MedAesthetics in Chicago, through onsite training at Refine MD, and she has worked extensively with the experienced physicians at Refine MD. She offers treatments in BOTOX® Cosmetic for lines and wrinkles, Kybella ™ for stubborn fat areas under chin and jawline, and aesthetic dermal fillers such as the Juvederm line of products™, to enhance facial features and soften fine lines and wrinkles. Dermal thread lifts have become her latest passion — giving her clients even more options to improve their appearance! She provides sclerotherapy for varicose and spider veins, as well. Like the entire staff at Refine MD, Vicki is committed to continuous learning to provide the highest quality medical aesthetic services using the latest and safest treatments, in a comfortable and welcoming environment. Her passion is evident to her clients - she takes the time to understand their needs and expectations — using her technical and aesthetic skills to achieve excellent results for them. 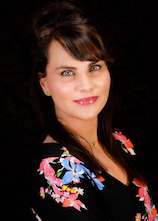 Vicki would love to guide you through the aesthetics world to help you meet your goals and enhance your NATURAL beauty. In her free time she enjoys running and spending time at her cottage with her family. Jayne is a graduate of Bellin School of Nursing and a member of The International Society of Plastic and Aesthetic Nurses (ISPAN). 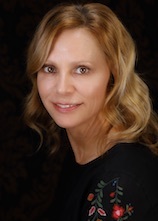 For over two decades, she has worked in various areas including schools, wellness coaching, camp nursing, emergency nursing and endoscopy — and now in aesthetics with Refine MD. Jayne takes pride in being a team player, putting her patients first, and leadership. 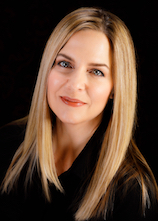 Since 2017 she has honed her Nurse Injector skills through onsite expert training, as well as training and mentoring with the Refine MD physicians and Nurse Practitioner Injector. Her kind, relaxed demeanor puts her clients instantly at ease. She offers treatments in BOTOX® Cosmetic for lines and wrinkles, Kybella ™ for stubborn fat areas under chin and jawline, and aesthetic dermal fillers such as the Juvederm ™ line of products to enhance facial features and soften fine lines and wrinkles. Being a firm believer in keeping our bodies healthy on the inside, aesthetic nursing will balance the care she gives her clients, assisting them to feel ageless inside and out! Jayne enjoys spending time with her family; gardening; walking her poodle, Daisy; and traveling. Amy is one of three product specialists who will greet you with a smile when you arrive at Refine MD. She enjoys working with the clients and takes the time to inform them about their options. Her warmth and kindness show through in every interaction with her clients. "Commitment to patient satisfaction and making clients feel comfortable is important to me." 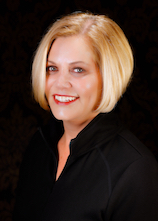 Amy has a background in cosmetology and has always enjoyed working in the beauty industry. In her spare time, she enjoys spending time with her kids, gardening and going up to ”the lake”. 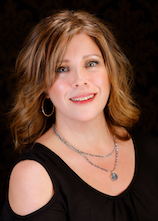 Jill brings her extensive experience in customer service and business to Refine MD as a product specialist. Her knowledge of our products and services is evident in every interaction with Jill. She shares her personal experiences of our aesthetic services and products to help her clients achieve their goals, and puts their minds at ease with her professionalism and humor. She is committed to providing our clients with a superior experience from the moment they enter Refine. Let her assist you in selecting the skin care products that are ideal for your home regimen. Jill earned her BS from UW-Oshkosh and has owned and operated a small business for 12 years, has taught fitness classes, and has led weight loss classes. She has the organizational skills and attention to detail needed to be successful in all she does. Jill enjoys spending time with her husband, 3 adult children, extended family, and girlfriends. On weekends you’ll find her boating, enjoying live music, practicing yoga, and walking her dog. 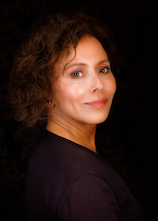 Jai has been working in the world of beauty for over 20 years! 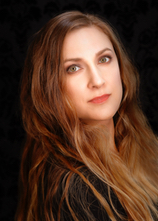 She started her career working for a large cosmetic retailer and received her aesthetician license in 2004. Most recently she owned her own professional make-up artistry company before joining Refine MD in 2018. We are so excited to have Jai’s expertise and experience here at Refine. Jai loves to connect with her clients, establish trust, and give personal attention to their individual needs. Her goal is to contribute to our mission to provide the highest quality services with a personal touch. "I really care about people, building relationships and providing the best experience as we work together to reach their skincare goals. I believe that investing in one’s skin is a benefit that lasts a lifetime!” Jai’s passion for her field is evident as soon as you meet her! Outside of work, Jai’s favorite things to do are spending time with family and friends, traveling, and shopping. 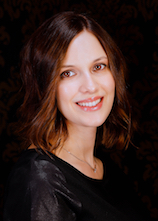 Bri, Refine MD’s newest medical aesthetician, hails from sunny California. It was there that she discovered her passion for aesthetics while gaining her experience in a Dermatology office. She is a product junky, who loves to continually learn about any and all new products and procedures. 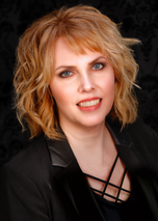 She recently received her aesthetic license from Wisconsin and is looking forward to connecting with her Refine MD clients and helping them look and feel their best. Bri’s laid back style and gentle soul immediately put her clients at ease. In her spare time, she enjoys spending time with her husband and children, and traveling as much as possible. Kathie Hacker, our newest product specialist, brings her energy, experience, and enthusiasm for all things skincare to Refine MD. She believes in living a healthy lifestyle and caring for her skin and it shows! Though she spent 23 years in health care and insurance, her true passion has always been skin care. She learned about and experimented with different cleansers, lotions, and masks from the age of 12. She is excited to join the Refine family after her retirement from her “first” career. She is passionate about working with her Refine MD clients to help them learn and to find the best regimens for their skin! 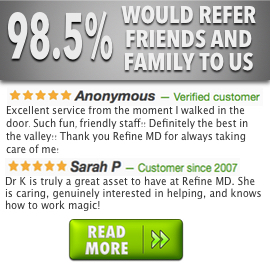 She is also quite knowledgeable about all of the Refine MD services and can speak to their effectiveness and results. Kathie has a bachelor's degree in Business Communications from Concordia University. She is the proud mom of two wonderful daughters and grandmother to an awesome little grandson. Kathie has taught Pilates at the local YMCA for 12 years. In her free time she likes to read and exercise and enjoys her time traveling and biking with her husband, Jeff.